We think we know it all today, and truth be told, humanity has made some amazing leaps in the past few centuries: flying machines, boats that travel underwater, buildings that soar above the clouds, and a globally connected invisible network that can be accessed anywhere. Hey, did we mention landing on the moon? But here are a few ideas promulgated by our ancient ancestors. They may not have had Google and Facebook, but they sure did tap into some lasting concepts that have stood the test of time and influenced generations of people through today. Many religions, from monotheistic western traditions to the eastern polytheism, have promoted the idea that the world we see is merely an illusion, an untruth that hides the essence of reality, which can only be accessed by the arduous spiritual work of climbing upward through a process of inner transformation. Amazingly, modern science has echoed this idea through the discovery of atomic structures. As scientist break down the universe into smaller components, they realize that more and more of what we think is solid matter is actually just the empty space between atoms. Many people today live in materialistic societies that preach a consumerist tendency toward incessantly buying well-packaged products—in that sense, the illusion of physicality is stronger than ever. And yet, at the same time, mankind has demonstrated their belief in a spiritual truth with the proliferation of self-help and self-improvement literature, an exploration of an invisible world behind what we see. For practical purposes, time is necessary for setting appointments and showing up promptly to our commitments. But many ancient religions have spoken of the illusory nature of time, and how spirituality and/or divine unity is beyond the confines of past, present, and future. With the advent of Einstein’s theories we now see that the timelessness of time is actually tangible. Einstein showed that time is relative: a ship traveling through space at super fast speeds may go through several days, while a person standing stationary on a nearby planet may only go through a few hours or minutes. We can even internalize this phenomena just by stepping out into the backyard and looking at the stars. Because of the speed at which light travels, some of the stars you’re seeing may actually have died eons ago—and yet, to our eyes, they still exist. In the thought of some philosophers such as Albert Camus (expressed in his novel The Stranger) there’s really no point to it all. But this nihilism is antithetical to the belief of ancient peoples and the religious and spiritual traditions they bequeathed to us today. Religious scriptures around the world—both written (like the Bible) and verbal (like indigenous storytelling) propose the importance of self-accountability, and that the actions of an individual really do affect the world around them. While philosophers may still debate the topic, people tend to err on the side of accountability and purpose, operating and engaging with those around them according to agreed-upon moral principles. 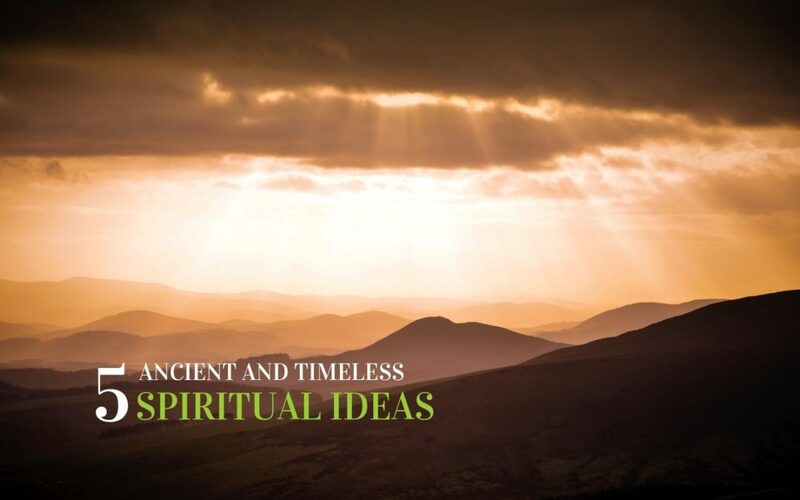 Ancient texts and artistic forms of expression are replete with examples of the belief in an afterlife, from the poetic journey of Dante Alighieri into Hell (The Inferno) to the one-dimensional wall art of Egyptian Tombs. People in different traditions have different views of what the afterlife might look like, but they all agree with the idea that death is not the end. While this idea is hard to prove in the world of the living, scientists have pointed out that when it comes to matter in the universe, there really is no endpoint. Gas in a car may burn up, but it’s turned into energy to drive the pistons. Food may disappear into one’s stomach, but it then becomes part and parcel of the body. Because of the nature of reality, there is literally nothing than can just disappear entirely. Whether you believe in reincarnation or some sort of elysium for the post-living, there have been documented findings that reveal a glimpse of the possibility that death is not the end. In the book Many Lives, Many Masters, psychiatrist Brian Weiss wrote about some of his patients who had memories and ideas bequeathed to them by previous lifetimes. This idea runs through almost all ancient spiritual traditions. Prayers, rituals, and focused intentions are common themes throughout the religions of the world on every continent. But moreover, many traditions also placed emphasis on the power of our very thoughts to make changes around us, through concepts such as a good eye or evil eye, for example. The Newtonian idea of a purely mechanical universe has actually fallen somewhat out of vogue, especially in light of psychological—and even scientific, lab-based—research that totes the power of positivity. For example, Japanese author and entrepreneur Dr. Masaru Emoto conducted an experiment where he subjected inanimate water to both positive and negative words. He found that the water exposed to positive expressions formed beautiful crystal structures when frozen, while the water exposed to negativity formed into ugly shapes. According to a purely mechanical understanding, words are just words and should have the same effect whether positive or negative. But this experiment (also replicated many times with different plant varieties) shows that there’s something behind the words that can literally make changes in the world. Great job friends thanks for your love of the virtue of wisdom that transcends all the BS in the Culture conditioning and egoic identities Thanks for Aiming high.